Six more lucky orangutans from BOS Nyaru Menteng have been released back into the forest! Rehabilitant orangutans are those rescued at a young age and/or confiscated from people who have illegally kept them in captivity. These orangutans have limited knowledge and skills required to live independently in the forest, and therefore need to undergo a lengthy period of rehabilitation. Danida was rescued from a palm-oil plantation worker in East Kotawaringin, Central Kalimantan, on 5 September, 2006. Dehydrated and severely underweight, Danida arrived at BOS Foundation’s Nyaru Menteng Orangutan Rehabilitation Centre in a desperate condition: She was just four months old at the time, and weighed only 1.9 kilograms. 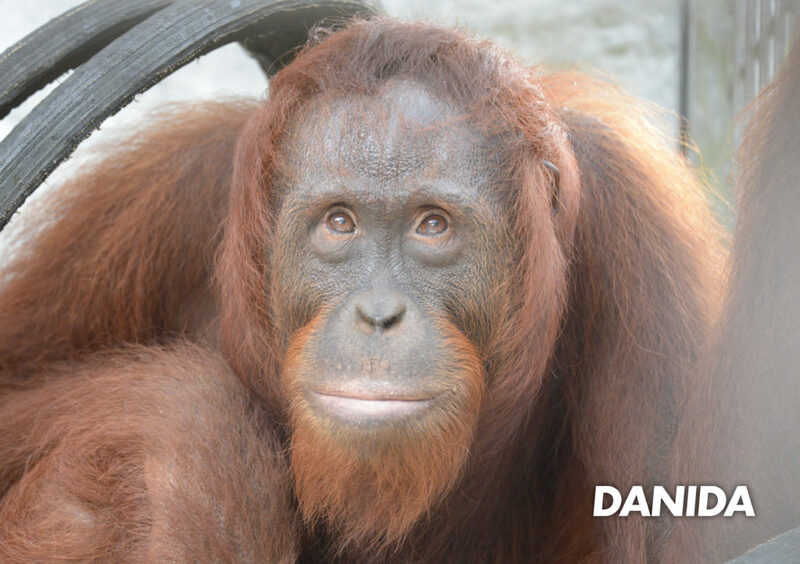 After recovering and passing quarantine, Danida joined Forest School and worked her way through every stage. On 3 November, 2016, she was moved to a pre-release island in the Salat Island Cluster to undergo the final stage of rehabilitation. During her time on the island, Danida grew to become an alert, avid explorer who firmly disliked human presence. Danida is now 13 years old and weighs 25.9 kilograms. After more than a decade of rehabilitation, Danida is ready to live wild and free in the forests of the Bukit Baka Bukit Raya National Park. Tristan was rescued on 4 February, 2007, through a joint operation involving teams from both the BOS Foundation’s Nyaru Menteng Orangutan Rehabilitation Centre and the Central Kalimantan BKSDA. He had been held captive by a local resident of Petak Bahandang village, Katingan Regency, Central Kalimantan. 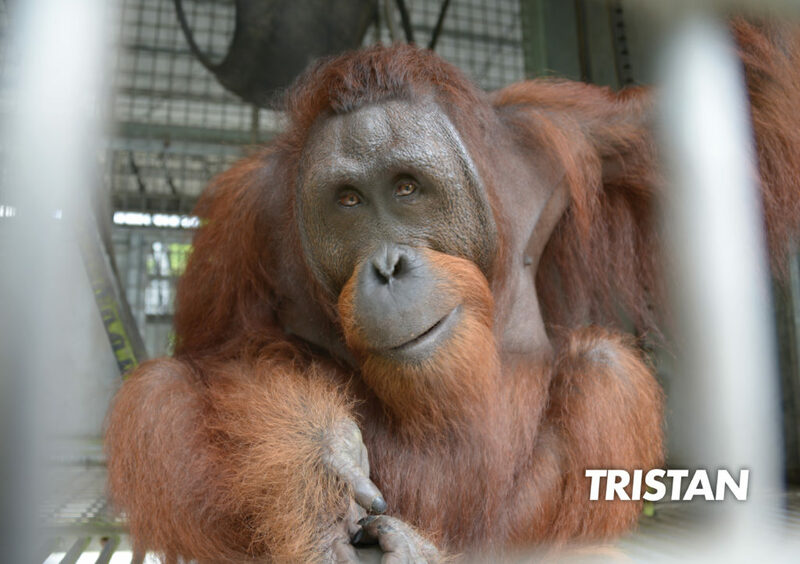 Tristan arrived at Nyaru Menteng when he was 4 years old, weighing 8 kilograms. Following a period of quarantine, Tristan joined Forest School and completed all levels. On 3 November, 2016, he entered the pre-release stage of rehabilitation in the Salat Island Cluster, where he practiced and honed all the skills he had learned during his years in Forest School. In Salat, Tristan spent a lot of time alone and grew into an independent orangutan with superb foraging skills. He also came to be known as one of the best explorers on the island. Tristan is now 16 years old and weighs 50.45 kilograms. After 12 years of rehabilitation, this handsome lad with growing cheek-pads is ready to explore the forests of the Bukit Baka Bukit Raya National Park as a true, wild orangutan. 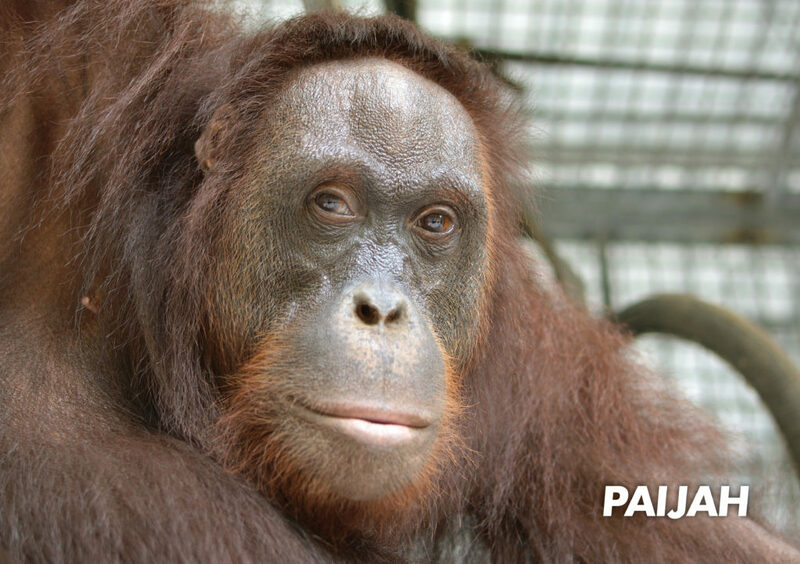 Paijah was rescued from a local resident of Sampit, East Kotawaringin Regency, Central Kalimantan, on 7 April, 2010. When she came to BOS Foundation’s Nyaru Menteng Orangutan Rehabilitation Centre she was 6 years old, weighed 20 kilograms, and had a troubling wound on her forehead. After passing quarantine, Paijah completed all levels of Forest School before advancing to the pre-release stage of rehabilitation. She was moved to the Salat Island Cluster on 5 April, 2017, where she got the chance to hone her survival skills in a natural environment. She became known for her excellent foraging skills, alert character, and extensive explorations of her pre-release island. Paijah is now 15 years old and weighs 39.7 kilograms. Finally, after a long road to rehabilitation over many years, Paijah is ready to go home to the forests of the Bukit Baka Bukit Raya National Park. Buntok was rescued from the city of Buntok, South Barito Regency, Central Kalimantan. She was just 18 months old and weighed only 8 kilograms when she arrived at the BOS Foundation’s Nyaru Menteng Orangutan Rehabilitation Centre on 5 March, 2009. After completing quarantine and many years of rehabilitation in Forest School, Buntok was moved to Salat Island on 28 May, 2017, to begin the pre-release stage. 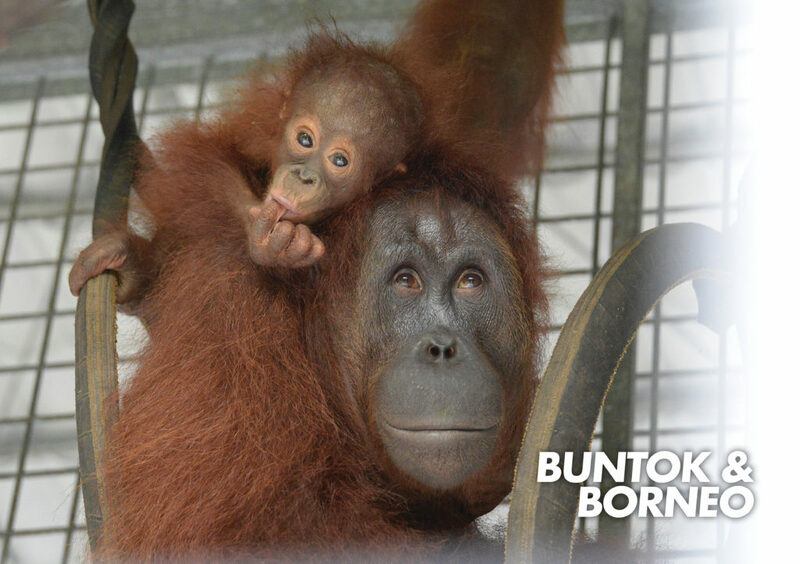 During her time on a pre-release island in the Salat Island Cluster, Buntok gave birth to a baby boy – later named Borneo – who was first discovered on 27 February, 2018. Unfortunately, little Borneo had suffered a severe skin rash from exposure to rengas, a local plant that produces an acidic sap. Buntok’s skin was also affected by exposure to the sap, and the mother-infant pair had to undergo treatment for their condition. 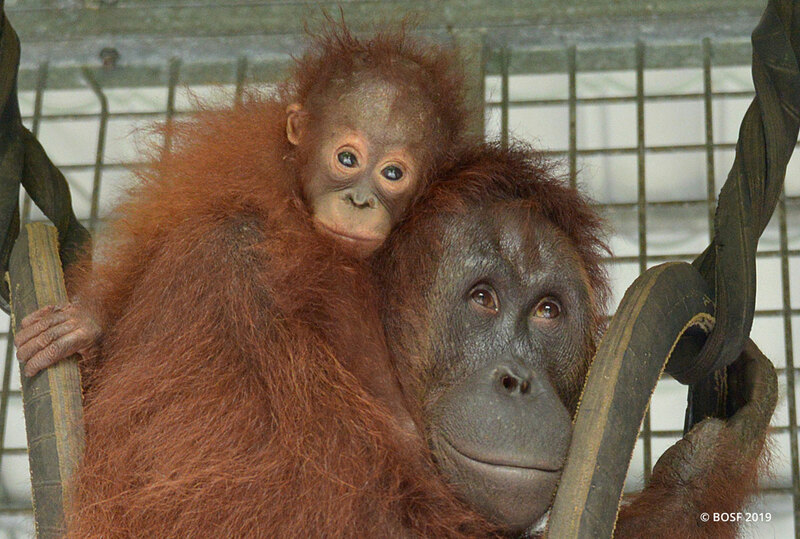 On 2 June, 2018, after Borneo had recovered, both mother and son were sent back to their pre-release island to complete their rehabilitation. Both displayed excellent progress, and were declared ready for release before long. Buntok is now 12 years old and weighs 55.7 kilograms, while her son Borneo is 12 months old and weighs 3 kilograms. Both mother and child are ready to taste true freedom in the forests of the Bukit Baka Bukit Raya National Park. Semi-wild orangutans are orangutan who have been rescued and treated at our rehabilitation centers, but were old enough when rescued to have acquired sufficient natural behaviors to be likely to survive in the wild without intensive rehabilitation. Rosidin was rescued on 30 January, 2019, from the Salat Island Cluster, in Pulang Pisau Regency, Central Kalimantan. He was estimated to be around 20 years old, and displayed completely wild behaviors. He was easily distressed by human presence and would frequently kiss-squeak to voice his displeasure. Rosidin has wide cheek-pads, a thick beard, and is blind in his left eye. The Nyaru Menteng rescue team brought Rosidin to Nyaru Menteng, where he could get the care he needed. 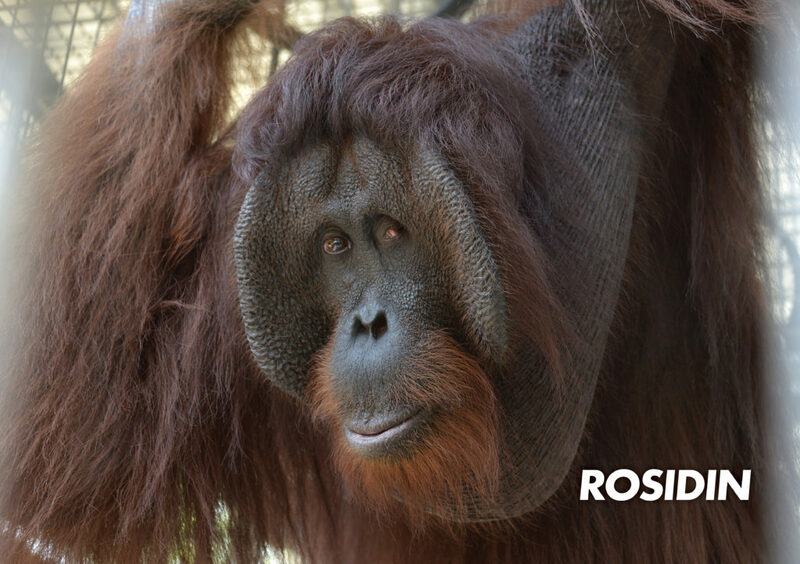 After two months in our facility, Rosidin is now ready to enjoy forest life once again. This ‘semi-wild’ orangutan will now be released into the safer forest environment of the Bukit Baka Bukit Raya National Park.